The purpose of this document is to provide a concise policy statement regarding the Data Protection obligations of Holistic Soul. This includes obligations in dealing with personal data, in order to ensure that the organisation complies with the requirements of the relevant Irish legislation, namely the Irish Data Protection Act (1988), the Irish Data Protection (Amendment) Act (2003), and the European Union General Data Protection Regulation (GDPR) (2018). Holistic Soul must comply with the Data Protection principles set out in the relevant legislation and regulation. This Policy applies to all Personal Data collected, processed and stored by [The Company] in relation to its service providers and clients in the course of its activities. The policy covers both personal and sensitive personal data held in relation to data subjects by Holistic Soul. The policy applies equally to personal data held in manual and automated form. All Personal and Sensitive Personal Data will be treated with equal care by Holistic Soul. Both categories will be equally referred-to as Personal Data in this policy, unless specifically stated otherwise. Due to the nature of the services provided by River Holistic there is regular and active exchange of personal data between Holistic Soul and its Data Subjects. This policy provides the guidelines for this exchange of information. The following key principles are enshrined in the Irish legislation and EU Regulation and are fundamental to the Holistic Soul’s Data Protection policy. Holistic Soul will meet this obligation in the following way. • The Data Subject’s data will not be disclosed to a third party other than to a party contracted to Holistic Soul and operating on its behalf. Holistic Soul will obtain data for purposes which are specific, lawful and clearly stated. A Data Subject will have the right to question the purpose(s) for which Holistic Soul holds their data, and Holistic Soul will be able to clearly state that purpose or purposes. Any use of the data by Holistic Soul will be compatible with the purposes for which the data was acquired. Holistic Soul will employ high standards of security in order to protect the personal data under its care. Appropriate security measures will be taken to protect against unauthorised access to, or alteration, destruction or disclosure of any personal data held by Holistic Soul in its capacity as Data Controller. Access to and management of customer records is limited to those who have appropriate authorisation and password access. Holistic Soul will ensure that the data it processes in relation to Data Subjects are relevant to the purposes for which those data are collected. Data which are not relevant to such processing will not be acquired or maintained. Holistic Soul keeps personal data for a time deemed reasonable and necessary. Once the period has elapsed, River Holistic undertakes to destroy, erase or otherwise put this data beyond use. 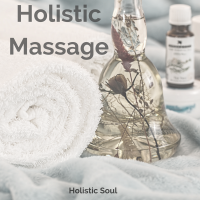 Holistic Soul has implemented a Subject Access Request procedure by which to manage such requests in an efficient and timely manner, within the timelines stipulated in the legislation. As a Data Controller, River Holistic ensures that any entity which processes Personal Data on its behalf (a Data Processor) does so in a manner compliant with the Data Protection legislation. Failure of a Data Processor to manage River Holistic’s data in a compliant manner will be viewed as a breach of contract, and will be pursued through the courts. All incidents (a breach of security leading to the accidental or unlawful destruction, loss, alteration, unauthorized disclosure of, or access to, personal data transmitted, stored or otherwise processed) will be reported to the Office of the Data Protection Commissioner within 72 hours. Where devices or equipment containing personal or sensitive personal data are lost or stolen, the Data Protection Commissioner is notified only where the data on such devices is not encrypted. The affected data subjects will also be informed.